Milford Street Bridge Project, a community heritage and arts project based in Salisbury in Wiltshire, have been announced as the Community Archive and Heritage Group of the Year! 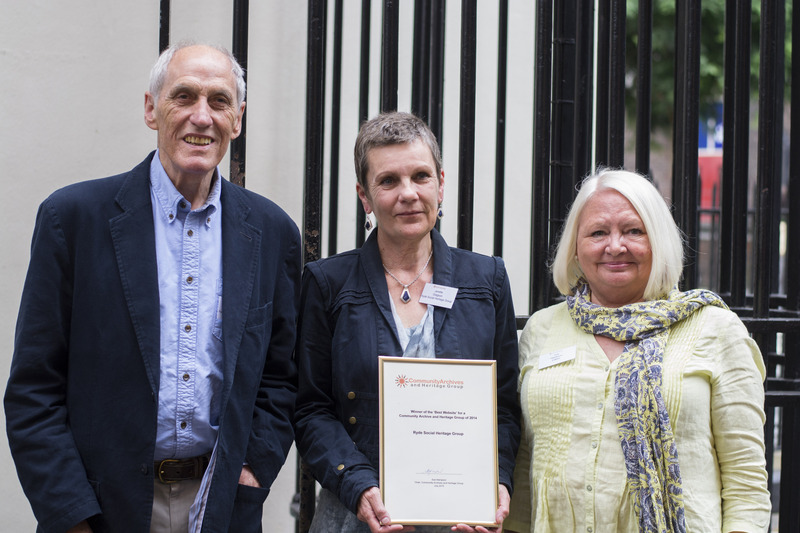 The winners of the 2015 Community Archive & Heritage Awards were announced at the Community Archive and Heritage Groups (CAHG) annual conference in London. The Awards, which are open to community groups in the UK and Ireland who are members of CAHG, are now in their fourth year. The standard was very high with 29 entries received across the four categories. Milford Street Bridge Project was voted as Innovation category winners. The judges liked the project for “its clear aims and community enhancement”. They said “It is something that can be copied in other communities. It is the history and archive of ordinary people”. When judging they felt that “This oral history project offers a different slant for using the material gathered the link to bridge activity led on to other things and gave a really innovative feel” Having scored highly on all the categories entered the group were chosen as the overall winners becoming Community Archive and Heritage Group of the Year 2015. The winners of best new group were the Khizra Foundation. The foundation itself has been running since 2010 but its winning entry was for a new archive project, Everyday Muslim a five-year project to create a central archive of Muslim lives, arts, education and cultures from across the UK. The judges liked the project for its ambitions of reaching across UK, its aim of reaching young and old, its commitment to training and its clear identification of a target audience. The judging panel concluded “As with all new groups there is a lot more to be done but the potential is there”. Ryde Social Heritage Group was voted best Website. This was a previous award winning group voted Most Inspirational in 2012 however the judges felt that once again they stood out amongst the entries. The judges liked this group because “it is evolving to meet their community with a varied programme, reacting and interacting with their local community, recording information, serving educational needs, has an amazing imagination and demonstrates sustainability”. This is a mature, extremely comprehensive website. It has a fresh feel and is kept updated. The judge’s commented that “not a button has been left un-pressed”. The winners of the Inspiration category were Newlyn Archive. The judges were impressed as this project has brought together two communities. The group run an annual project which changes focus from year to year. The judges observed “this is exportable to other groups; not necessarily unique in project terms but the community link and the intergenerational work was inspirational. This is a simple idea which could work anywhere in the country”. The awards are sponsored by Dr Nick Barrett and Sticks Research and will run again in 2016. The awards celebrate the importance of community archives and heritage and past winners, not just overall but of categories too, say that winning encouraged the group to carry on and generated new ideas and new members. Nominations will open later in the year and are open to community groups in the UK and Ireland who are CAHG members (i.e. community archives, community heritage groups, community museums and community archaeology groups). If your group is not already a member of CAHG it is free to join.